- The past few weeks I have been on a time crunch while Whitney was off hiking the John Muir Trail, I'll have a tab located on the top menu with her write up and pictures in a week or two. With just Sarge and I at home, I have been taking him for his usual short hikes during the week while mixing in a quick hike up and down of the rock pile (Washington) after work from time to time. On the weekends I set aside a day for me to push myself and get in miles all within nine hours (door to door). 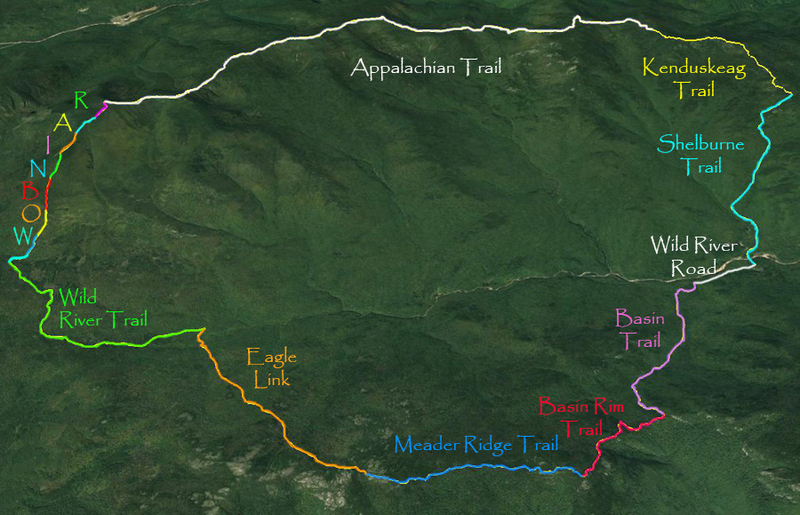 - On Sunday the 19th I ran a northbound Presidential Range Traverse, starting from Crawford Notch. I set off at 7AM and quicked hiked to Mount Pierce reaching the summit in 51 minutes. - I had incredible weather during the morning, cool temps with some good wind gusts. I was able to run and quick hike as I made my way up in elevation past Eisenhower and Monroe before grinding out the last big climb of the morning up to Washington. Eisenhower in 1 hour 16 minutes, Monroe in 1 hour 51 minutes, and Washington in 2 hours and 29 minutes. - For the first half of the run I stopped twice, once to layer up and put my hat and gloves on before Mount Monroe, for those of you not familiar with the jagged summit cone of Monroe it can be very windy and cold. My only extended break was at Lakes of the Clouds, here I reloaded my water bladder, had a baked good, and some iced tea. This was probably a seven minute break before heading up to Washington, other than taking pictures and delayering later on, this would be my last stop of the day. - As I zoomed past Washington it was time to take on the rugged footing of the northern presi's. The good news is that going northbound through the range is faster (for me) than heading southbound. The climb up Clay, Jefferson, and Adams are all much easier in this direction, while Madison is the same if using Valley Way followed by and out and back of Osgood Trail. - As I headed past Clay, 2 hours 50 minutes and then to Jefferson 3 hours 17 minutes, it became clear that not only was I going to break the sub 6 hour goal I set for myself but I could actually challenge my personal best of 5 hours 24 minutes that I had for last year's north to south traverse, something I did not think was achievable since I thought that going north to south was faster. - I kept on making really good time and beat feat up to Adams making it there in 3 hours 54 minutes. - Next, I zoomed down to the hut and aggressively hiked to Mount Madison, standing on the summit 4 hours and 20 minutes after I started. - After taking a few pics it was time to rock hop run off the summit cone of Madison and into the woods for the quick descent to Appalachia. Descending is still my specialty so I was able to run aggressively, yet carefully, to the bottom in 46 minutes, finishing in 5 hours and 6 minutes after I started. - I was very happy to have run the Presi's this quickly and even happier for the short drive home to see Sarge and spend the afternoon relaxing in the river with him. - Unfortunately I deleted my pics, but I did upload them to Strava before they were deleted and they have captions, not great quality and they are out of order, but there are some nice ones in there. (Click here for Strava details). Saturday, the 25th I drove to the Wild River Campground and parked my car at the Basin trailhead to circumvent the Wild River Wilderness. First was a short and easy road run to the Shelburne trailhead, from here I walked to the river bank which has been mostly destroyed. I dropped down to a few rocks where I removed my shoes and socks and waded about fifty feet from shin to quad deep to the rocky and sandy shore on the other side where I put my socks and shoes back on. I then quickly lost the trail from all the damage and ended up on the Highwater Trail, thankfully I knew where I was and then took what is left of the Highwater Trail to the junction of the Shelburne Trail, quite the excitement early on! - Once past the washouts I motored up the secluded and beautiful Shelburne Trail. The were a few blowdowns but overall the trail is in excellent shape. The trail makes an easy to moderate climb up to the Howe / Shelburn Moriah col.
- Now came for one of the many highlights of the day, summiting Shelburn Moriah, it has tremendous views of the Wild River Valley, Moriah-Cater Range, and the Mahoosucs. The views were very muted on this morning as it was getting humid and very hazy but still a great place to take in a quick view. - From Shelburne I dropped in elevation to the Moriah Col before the steep burst up to the summit. Moriah and its southern ledges along the A.T. have very nice views as well, from here I can see the small neighborhood I live in and almost my house! - As I made my way through to the Carter Range the heat and humidity was getting worse. I was still making good time but I had to throttle down to conserve my water since there was nothing good to filter from until dropping down to the wild River. - The climb up to North Carter is a steep and nasty one so that slowed me down. Once I summited North Carter I made decent time through Middle and South before slowing down again on the steep burst up to Mount Hight. I was very happy to be on top of Hight as from here on out the run is pretty easy. - Even with all the difficult sections behind me I still paced myself up to carter Dome and then the descent down the Rainbow Trail to wild River Valley. From Carter Dome until finishing I would see only five more hikers, how cool is that on a Saturday! 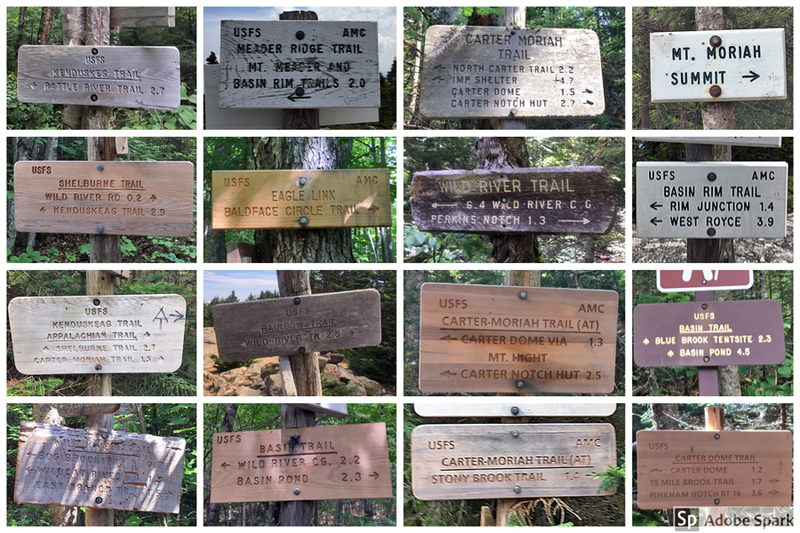 - The Rainbow Trail, Wild River Trail, and Eagle Link all have summer overgrowth encroaching the trail but everything was still easy to follow. It was great to have all the trails to myself and the Birch glades along Rainbow and Eagle Link are always a pleasure to pass through. - I finally was able to filter water and electrolyte drink when reaching a good flowing source along the Wild River. This rejuvenated me and I made great time up to Meader Ridge, along the ridge, and down to the Rim Junction. From the Rim junction I turned up the speed and finished in just under 7 hours and 30 minutes. - Some takeaways of the Wild River Loop; It would be an easier run in the fall when the overgrowth dies out, cooler temps, and when it's drier. I'm pretty sure I could run a sub seven hour loop in better conditions and with more water for the Carter-Moriah section but I'm still happy with my time. Traveling through the glades, it's even more beautiful in the fall! The Wild River Trail is a little overgrown in spots!